So I am a little late again. I started writing this blog post on my way back from ASCO (6 weeks ago) but upon landing in the whirlwind I call life this was put on hold. Take yourself back in time (at least 6 weeks) and this may seem like news that is "hot off the press." As I make my way back from ASCO, it is hard to digest the pace with which CLL is changing. In three years we have gone from the FCR supremacy to a coming tidal wave of well tolerated pills that are a lot easier to take and are seeking to both displace chemotherapy entirely and change the rules of the game. 1) In patients who have had 4 different rounds of chemotherapy on average who then went on this study, ibrutinib has probably saved many of their lives. They were a really beaten up group of patients and many of them are still doing incredibly well after 3+ years on the drug. 3) There has occasionally been concern about risk of infections in patients treated with ibrutinib. It looks like the longer you are on the drug, the better the immune system works because the rate of infections seems to go down over time. 4) The patients treated with ibrutinib in the front line have really done quite well. While a handful of patients stop the drug early, those patients who are able to stay on the drug are doing remarkably well. It remains to be seen if ibrutinib is better than chemotherapy in the frontline setting but with each new update of the data it gets more and more impressive. 1) In "evolutionary biology" we think that any strong "selective pressure" likely has influence over the nature of resistance. Ibrutinib binds to the BTK protein at a very specific location called "Cysteine 481." The bond is very specific, so the way to get around that is for the cancer cell to change it's BTK at position 481 from cysteine to serine. Ibrutinib has a much harder time binding to the protein and shutting it down. Genentech has a drug they are developing that is supposed to "get around" this mutation and still inhibit BTK. 2) An alternative route to resistance is to activate an enzyme in the "signaling cascade" downstream of BTK. PLC-gamma is just such a protein and can be artificially "turned on" by the cancer cell. It is like the electrical circuit has a short and is locked in the on position below the level of BTK so ibrutinib still binds but doesn't stop the electricity. 3) Neither of these are terribly common. In the Ohio State experience, they have treated something like 250 patients and only 15% have stopped the drug because it wasn't working. 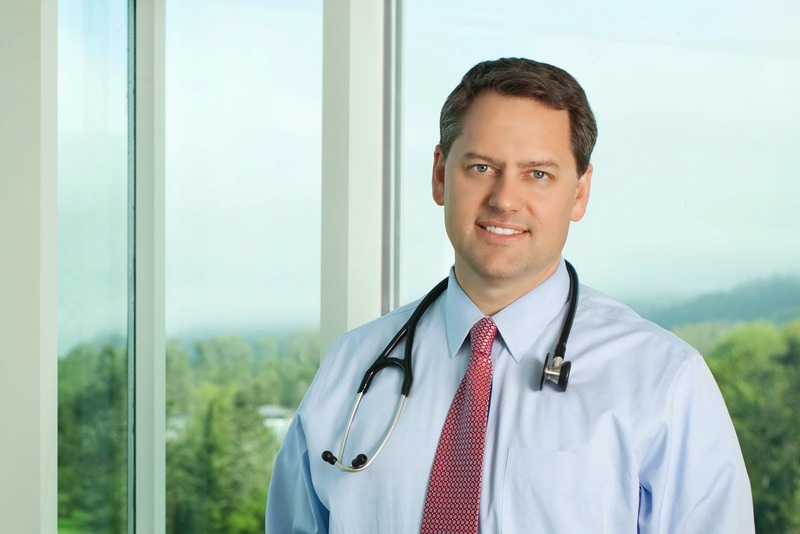 Dr. John Byrd presented the results of the Resonate trial in which patients with relapsed CLL were randomized to either ibrutinib OR ofatumumab. Patients who progressed on ofatumumab could then receive ibrutinib (cross over). 2) Ibrutinib beats the socks off ofatumumab. The overall response rates (10x higher), progression free survival (80% better), and even overall survival (60% better) all favored ibrutinib. 3) There did seem to be a slightly higher rate of atrial fibrillation (irregular heart rate) and possibly bruising / bleeding on ibrutinib which may be something to watch over time. Sometimes it is hard to strike the right balance between blood clotting and bleeding. 4) Multi-center data is NEVER as good as single center data. I was surprised to see how high the number of patients that had stopped ibrutinib by the one year mark. While it is still a relative minority of patients, it leaves a window for other drugs to be developed. In some cases this was due to progression or in other cases patient / clinician choice.